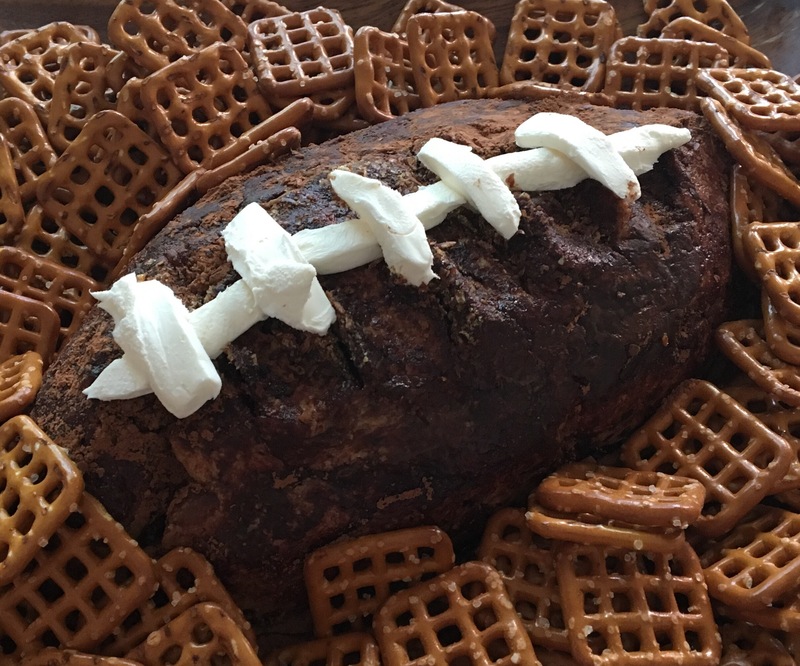 Super Bowl circa 2013, my friend C hosted a few couples over, and served the original Peanut Butter Football Dip as the centerpiece of her game day spread. I took one luscious bite – the very essence of “a moment on the lips, forever on the hips” – before opening my eyes and returning to earth. “Oh my gosh. What is in this?” I asked, loading up another pretzel with admittedly a rather unladylike amount of that peanut buttery chocolatey orb. “You don’t wanna know,” she smirked, before disappearing onto the back deck with a tray of hamburger patties. But I did. And when I found the recipe, Crazy for Crust’s Peanut Butter Chocolate Football Dip, I bookmarked that sucker and made it enough times the next football season that my big girl jeans were big no more. So today, after much pleading from the six year old for “that football dip,” I made it once again, healthified. The result is a mildly sweet peanut buttery cheeseball with hints of dark chocolate. While it did not pass muster with my elementary age taste tester, it’s pigskin shaped perfection for the sophisticated palate of most grown ups. And happily, it’s a My Fitness Pal entry I’m not horrified to admit I ate. On the contrary, I’ve scarfed down a 1/4 cup serving already, and feel not a trace of the heavy, low energy crash that I find common after eating anything laden with refined sugar. I might just eat a smidge more during the Alabama game tonight. Enjoy y’all! Beat 4 oz cream cheese with peanut butter until fluffy. Add yogurt and repeat. Stir in honey and chopped dark chocolate. Add vanilla and flaxseed meal, stirring until well combined. Place mixture onto parchment paper and form football shape. Dust with cocoa powder and top with 1 ounce cream cheese, sliced in thin pieces to form football laces. Serve with pretzels. 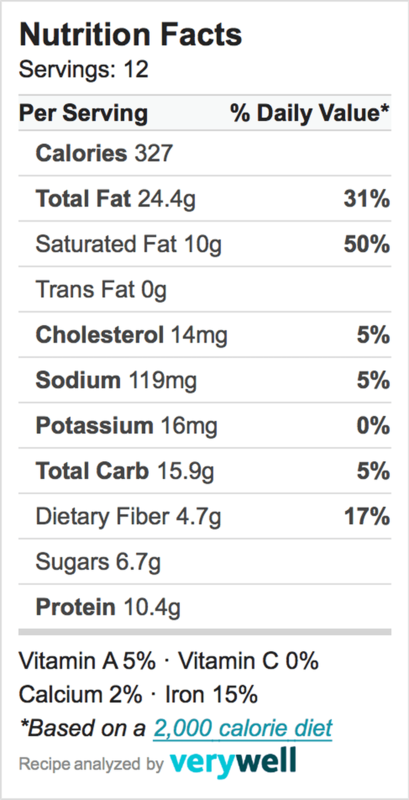 MFP entry: Healthfied Peanut Butter Football Dip, 1/2 cup serving, 327 cals.